CFCSM, which stands for Continuous Fiber Composites Smart Manufacturing, is a new Additive Manufacturing process to produce thermosetting continuous-fiber composites.The process was developed and patented at +LAB, the 3D printing laboratory of the Politecnico di Milano University, This innovative process exploits the potentialities of composite materials at their best: a robotic arm is used to deposit the fiber in the best position and direction inside the three-dimensional space, making the best use of anisotropy, the most peculiar characteristic of composites. 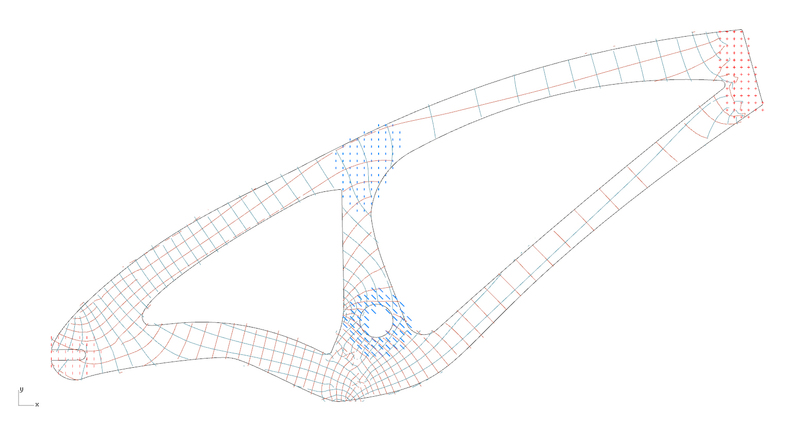 The BMX has been designed using Autodesk’s Monolith technology, a voxel based optimization tool, able to generate the best building solution from given forces and constraints. This software allows to understand the theoretical distribution of the stresses, distinguishing tension forces and compression forces, and design according to the most structurally efficient way. 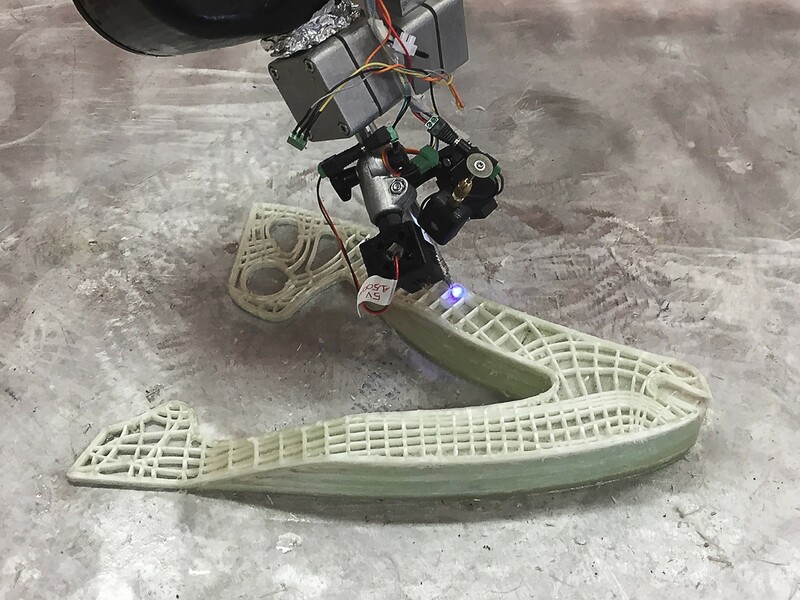 Finally, the data has been converted in toolpath, using +LAB’s algorithms generated inside Dynamo’s environment, and 3D printed with materials today unused by additive manufacturing, in this case continuous Glass Fiber and Vinyl Ester thermosetting resin. 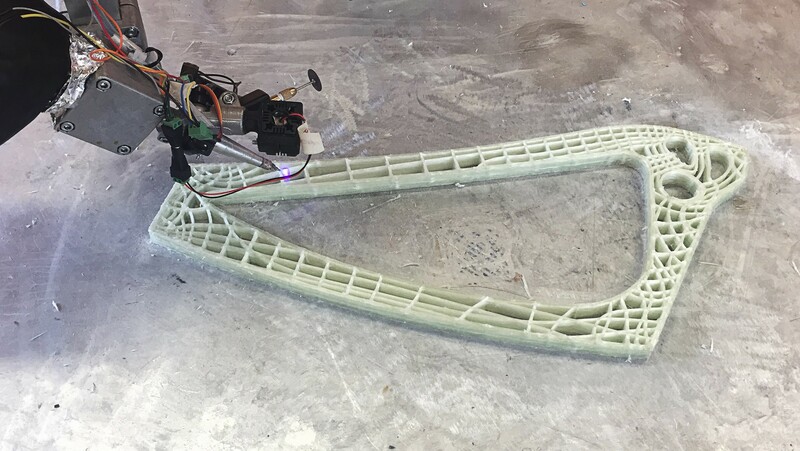 The frame has been realized in 3 parts and then assembled using topological optimized 3D printed metal connection by Autodesk. The bike has been showcased in Autodesk's booth at formnext 2017.